Spring is on its way and it is a great time to get creative and try out new ideas for inventions, brands and designs. 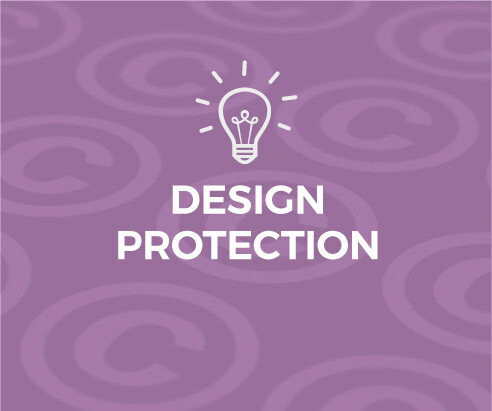 In this issue, we give you tips on how to create registerable designs, look at the new proposals around design fees, and why it is so important to protect your intellectual assets. For a design to be registerable it must be new, and have ‘individual character’. This isn’t a very high hurdle at all, so as long as a new product or a new surface decoration is your original work and isn’t just a me-too or a run-of-the-mill look then it’s worth thinking about registering it. You need to put your application in while the design is still new, so your best bet is to file it now and keep it in case you need it later. Did you know the Government has just opened a consultation on a proposal to significantly reduce the fees for registered design filings? However it doesn’t need to be a new idea, one of our clients Seasons Catering assumed they didn’t need to have a trademark as they had been trading for over a decade. We pointed out that a trouble free past is no guarantee of the future, plus if they wanted to expand, merge or sell the business, the trademark becomes a tangible and valuable asset. This soon paid dividends as 10 months after we registered the trademark, we received notice from the Trademarks Registry of a conflicting trademark application filed by an Indian company. We took immediate action and secured Seasons Catering’s position, and the Indian company withdrew their application. However, had Seasons not had the trademark in place in advance, their position would have been much more uncertain and they would have been facing costs of 10-20 times the cost of registering the trademark, plus their time to defend the trademark during a dispute that could easily have taken a year to resolve.